Dragon Claw Katana Sword | BUDK.com - Knives & Swords At The Lowest Prices! This sword combines a fantasy theme with a traditional katana design. Measuring 41" overall, this item's sculpted handle features a solid gold plated talon guard that coordinates with the gold plated open-mouthed dragon pommel. 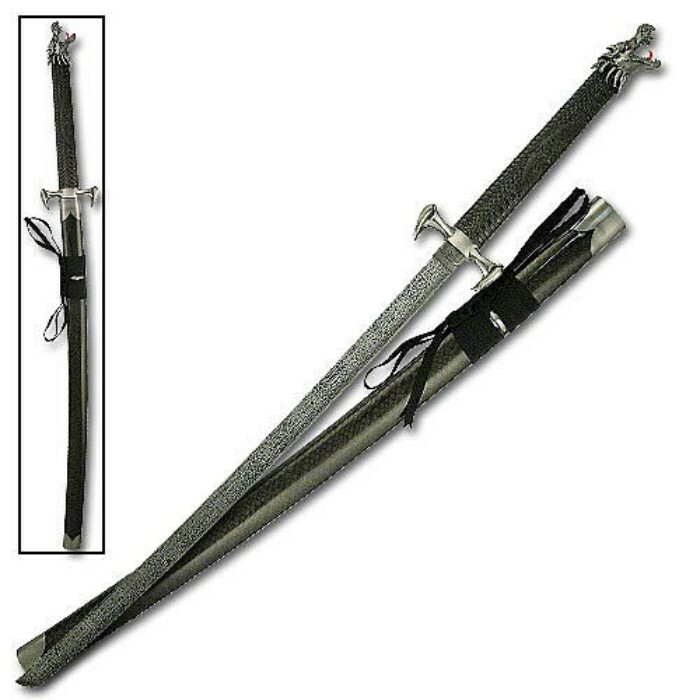 The 27" blade is stainless steel construction and rests in the included custom black sheath. A different twist on a much sought after weapon!